Former Bristol South East MP, aristo-socialist Tony Benn’s been hitting the headlines again. Firstly because his niece, Emily, has been selected as the Labour parliamentary candidate for the East Worthing and Shoreham constituency on the south coast despite not yet being 18. This makes her the youngest person ever selected as a parliamentary candidate after the minimum age was reduced to 18 from 21 last year. She even spoke at the Labour Party conference yesterday and if she wins the seat she will be the fifth generation of the toff family to have sat in Parliament. Which is a rather nice example of how hereditary power is still able to flourish in our so-called meritocracy mainly thanks to the full support of a party of gormless middle-class careerists with a skin deep commitment to socialism. The insufferable egoist Tony meanwhile has published the latest volume of his tedious, self-serving diaries covering the outbreak of the Iraq war. Tony of course visited Iraq to meet senior members of its administration in the lead up to the war. And his diary entry demonstrates perfectly why this so-called “national treasure” is in fact a fuckwitted toff of the highest order when he in all seriousness describes Tariq Aziz, who he visits, as “a nice guy”. Had a long talk to the Chinese First Secretary at the embassy – a very charming man called Liao Dong – and said how much I admired Mao Tse Tung or Zedong, the greatest man of the twentieth century. Sorry could you come again with that one please Tony? Are you saying that a totalitarian, a dictator and the killer of millions was the greatest man of the twentieth century? 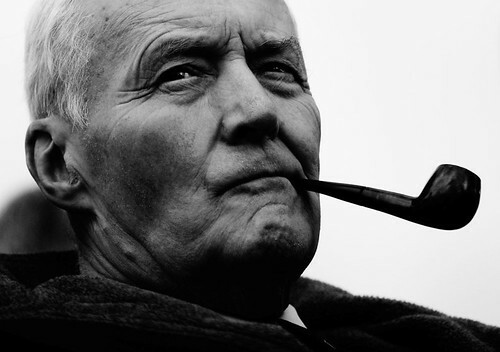 Benn’s calls his latest volume of diaries Free at Last. This entry was posted in Bristol, Labour Party, MPs, Politics, The British Left, The Useless Old Fuckpot Files, Toffs. Bookmark the permalink. Is the Tariq Aziz bit in the most recent volume (‘More Time For Politics’)? ‘Free At Last’ covers 1991-2001. I’ll take your word for it on the Mao stuff being in the last volume, not the latest. I’ve not read any of them. But I’d like to read some from the Bristol years just to explode this myth about Benn being a great local MP. as far as I can tell on his watch the city got massive 60s style slum clearances (that paved the way for the yuppie takeover of the Docks and city centre), satellite estates, half a ring road, the M32 and the original Broadmead. Not a strong pro-working class record is it? Vowles, I want the power structures that enable corruption and the economic exploitation of men and women go away. That means I can’t vote. The idea of voting for people to make changes for me is what gives rise to said power structures. Decentralisation of power is not a solution; absence of power is. It is you that whinges about editorial standards in the Evening Post, isn’t it?